Well, it looks like Reliance Retail backed LYF is on a relentless launch spree. The company has come up with yet another smartphone, dubbed as the Lyf Flame 6. The device will be up for sale in Black color at Rs. 3,999 alike the LYF 3 and LYF 4 smartphones. It is available through Reliance Digital and Digital Xpress stores. Coming on to the specifications, the LYF Flame 6 comes with a 4-inch WVGA display, and is powered by a 1.5GHz quad-core chipset. It runs Android 5.1 Lollipop and features a 2-megapixel primary camera with LED flash, HDR, along with a 2-megapixel selfie camera. 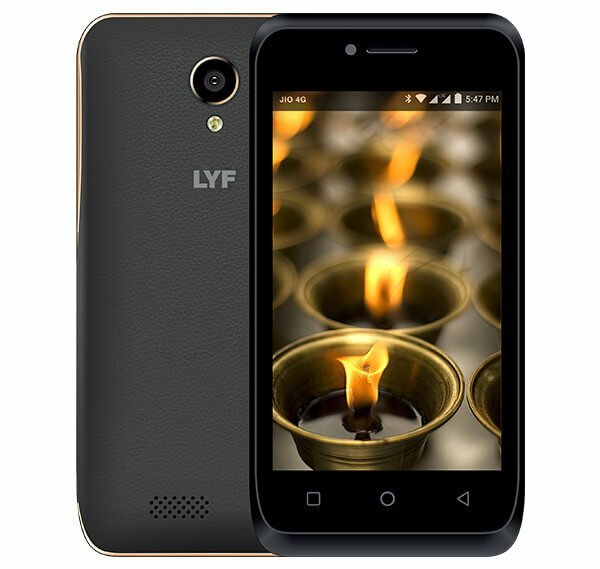 In the connectivity department, the device supports 4G with VoLTE and dual SIM similar to other devices in the Flame series by LYF. It features a leather-like rear cover and is backed by a 1750mAh battery, which is bigger than Flame 3 and Flame 4. How can I get this phone with the sim? Good for using as Hotspot ONLY.. I have one doubt.. If all people are going to buy flame and wind for the preview offers, then who will buy the EARTH and water series phones???? How will RJio sell them? May be 6 months unlimited for those phones, when they find that those phones are NOT selling?? ?